The announcement of unlimited streaming video over 4G LTE at today’s Uncarrier X event drew a lot of questions from the media and advocates about the impacts it’ll have on net neutrality. The questions are important, and the answers were perhaps poorly explained at the event itself. We had concerns that T-Mobile might be passing the buck on to the consumer by stating repeatedly that they have the right to “turn off” the feature from their device if they felt it was in opposition of net neutrality. 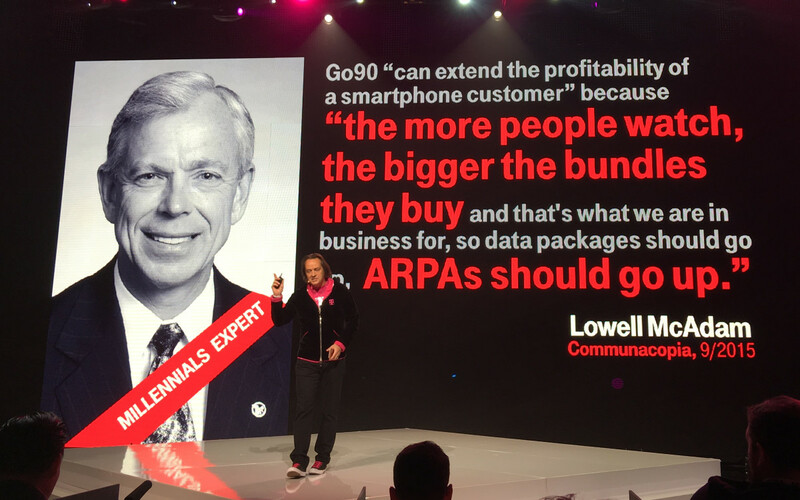 Additionally, T-Mobile CEO John Legere mentioned multiple times that “no money was changing hands” and T-Mobile wasn’t “creating Internet fast lanes” for certain providers. Congressional definition aside, the root of the issue wasn’t that we feared money had changed hands; after all Google has bigger pockets than anyone and YouTube was notably absent from the announcement. Instead, it was that the playing field had been un-leveled in a sense that 60+ million T-Mobile subscribers had a rather significant hurdle in their path to video content — paying for data. We dug a little deeper with Senior VP of Marketing Mike Katz and VP of Engineering Services Grant Castle. They managed to quell the significant amount of skepticism I had that T-Mobile was indeed playing fair. According to Katz, the program is open to anyone that wants to join, and the only limitations in place are relatively minimal. My conversation with Grant Castle covered the technical side of this, and the requirements are indeed minor and basically involve being able to confirm that the data being pulled is indeed video — a difficult task with YouTube, for example, because Google is full of other content. I then asked Grant about the technical challenges that kept YouTube from being included in the announcement and whether this would impact smaller content providers. But is T-Mobile close to a fix? It seems to me that the build up to the UncarrierX event and even the announcement itself could have done a far better job of explaining the rather simplistic process that a video provider has to go through in order to be included. But for now, we can stop crying. The sky isn’t falling… this time.